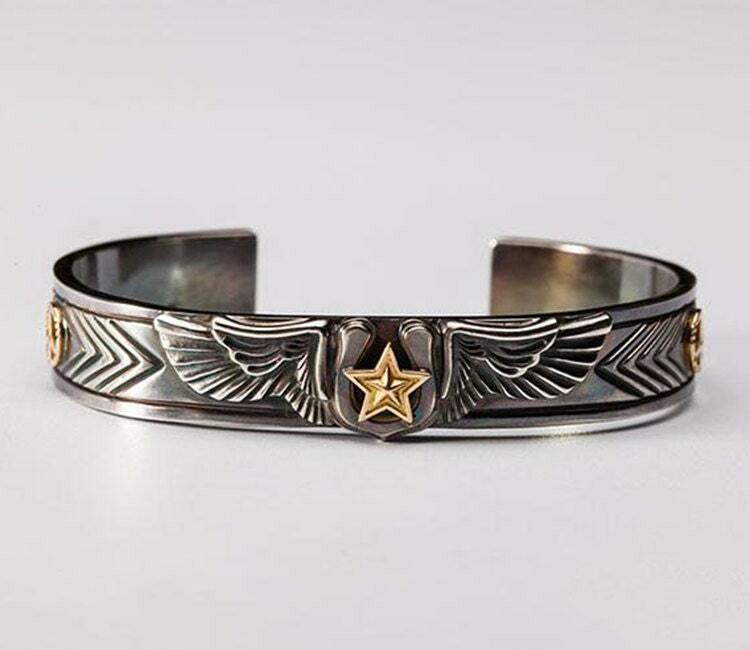 The silver wings bangle is a bold and beautiful piece of jewelry, an ideal gift for someone you love. The open silver bangle is full of good luck cheer - with a horseshoe charm in the middle and a tiny 18K gold star on top. The horseshoe is flanked by a pair of beautifully crafted angel wings. Another set of peace charms - crafted in 18K gold - are also set on the cuff bangle towards the open ends. 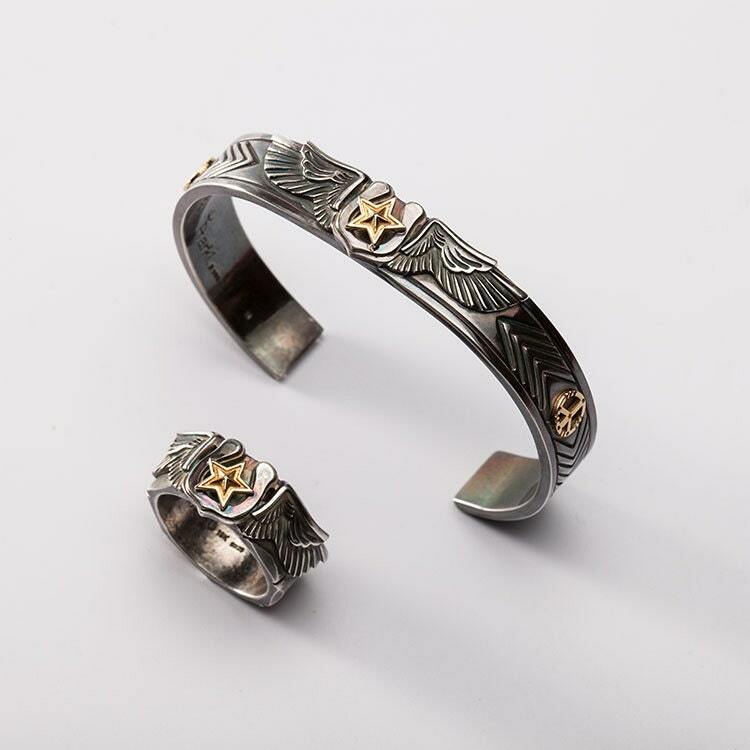 A series of chevrons are engraved on both sides of the peace charms. 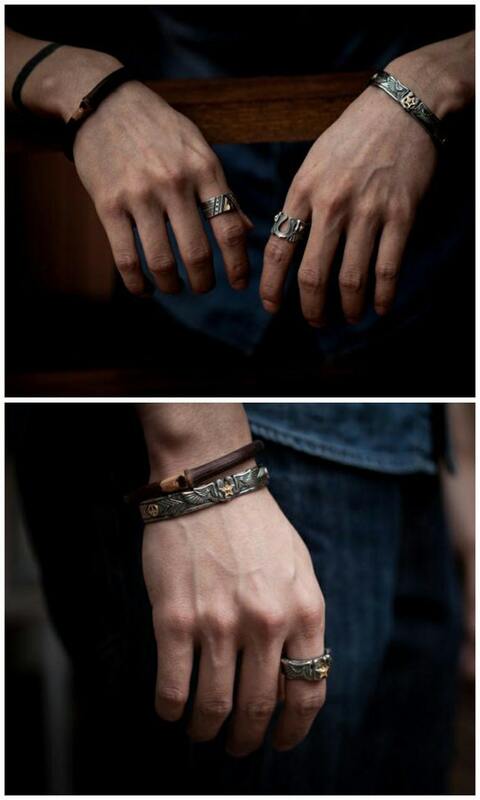 The bangle is available in two different finishes: original polished and vintage oxidized. 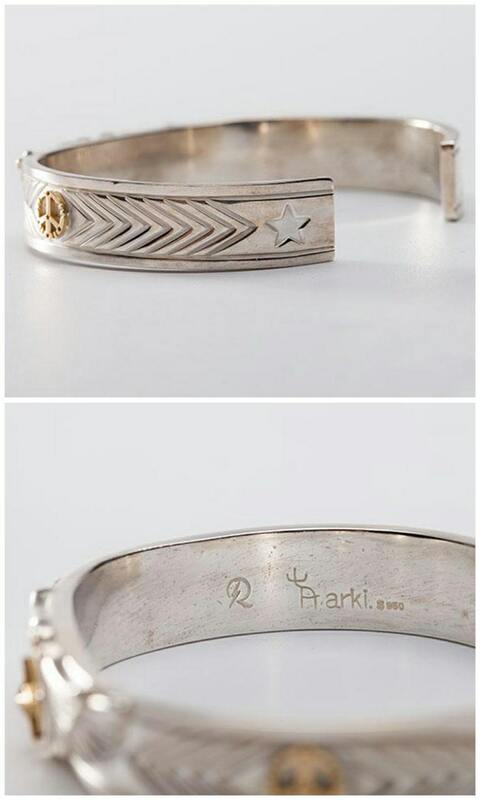 We can help you personalize the bangle - read the details below. 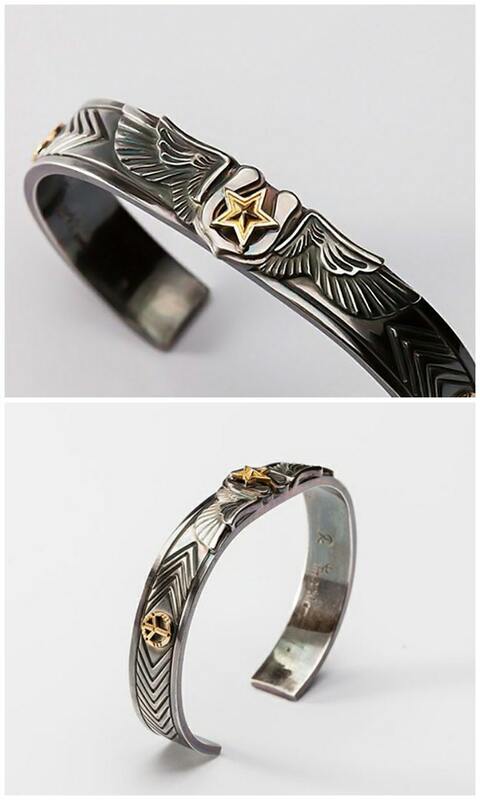 Width: 10 mm/0.4 inch. Thickness: 2 mm/0.08 inch. I love this piece...all detail and it looks great with other cuffs and bangles. Thanks Liang for being so kind!